The Black Vortex, an ancient artifact imbued with immeasurable power, is now in the hands of Mr. Knife! 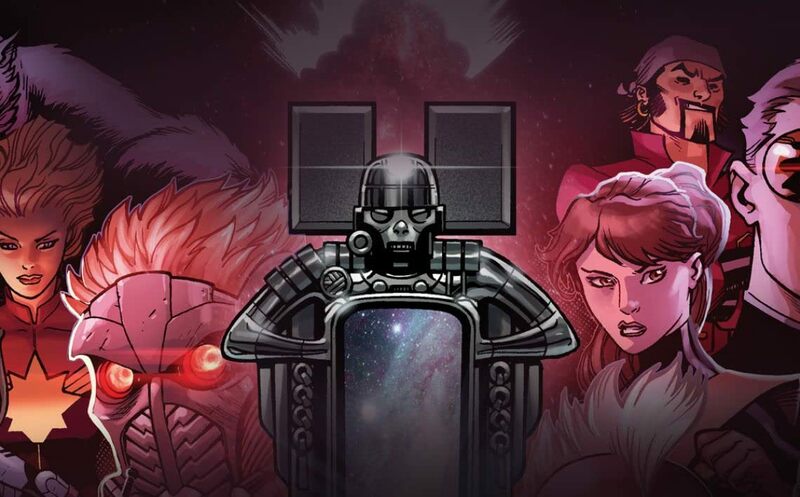 With billions of lives potentially at stake, it will take the combined might of the Guardians of the Galaxy and the X-Men to stand against the power of the Black Vortex!